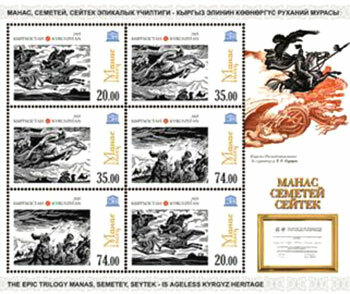 ..:: Почтовые марки Кыргызстана 2015 г. ::..
Stamps printed in sheets of reduced format with design of fields, sheet contains 6 (2x3) stamps. Sheet size is 100x105 mm. and stamp size is 40x28 mm. The stamps were printed in small sheets, all the subjects are together. 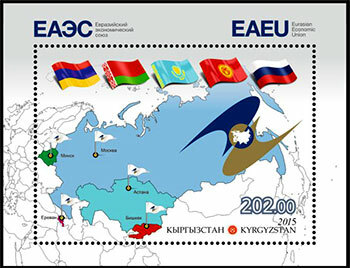 Sheet contains 2 stamps of each series. Size of small sheet is 125x100 mm., stamp size is 28x40 mm. 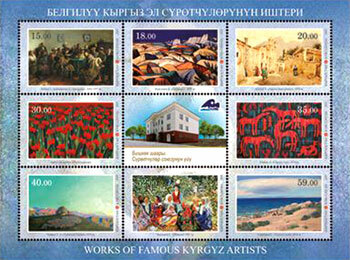 The stamps were printed in sheets of reduced format with design of fields, the sheet contains 6 stamps (2x3). Sheet size is 100x105 mm. and stamp size is 40x28 mm. 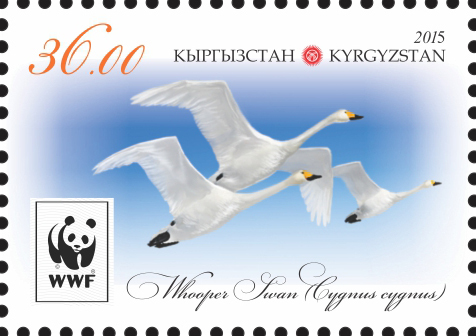 The stamps were printed in sheets of reduced format with design of fields: No.817 and No.819 contains 6 (2x3) stamps, the size is 40x28 mm. 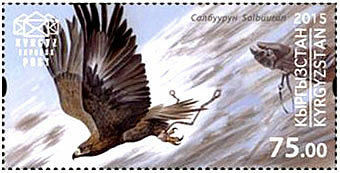 No.818 contains 2 (2x1) stamps, size is 28x40 mm. 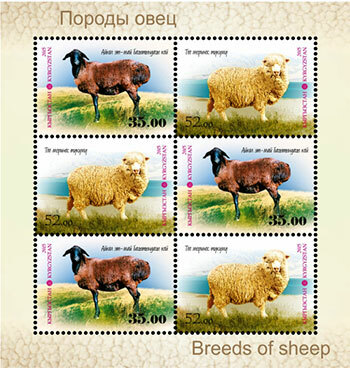 The stamps were printed in sheets of reduced format with design of fields. Each sheet contains 5 (1x5) stamps of the same face-value, and stamps of all face-value (one series) on the combined sheet size 134x134 mm. 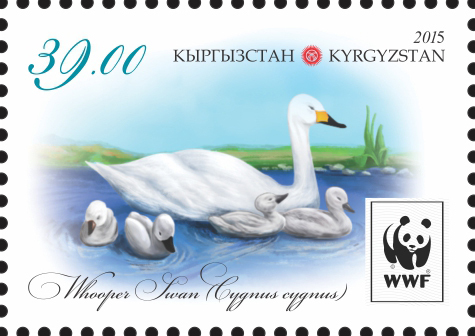 The stamps size is 68x34 mm. 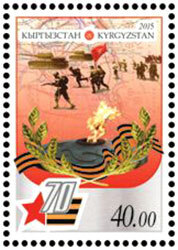 The stamp is printed in block size of 105x80 mm. with design of fields. 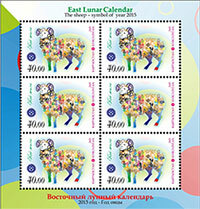 First time, it is used stamps size 85,25х60,45 mm. 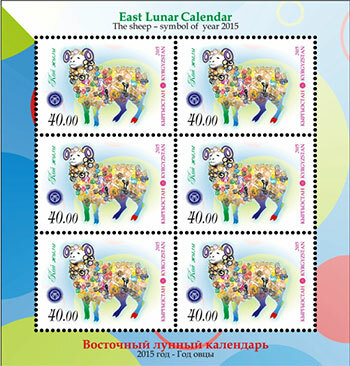 The stamps were printed in block design with colourful design of fields. 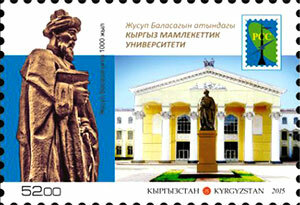 The size of block is 100х70 mm., size of stamp is d=38 mm. 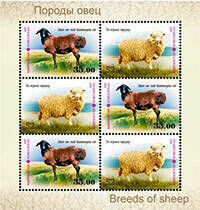 The stamps were printed in block design with colourful design of fields. 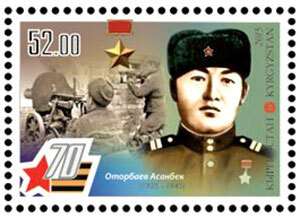 The size of block is 100х70 mm., size of stamp is 30x40 mm. On the coupon - House of the Artists' Union in Bishkek. UNESCO World Heritage Site. The trilogy of the epic "Manas". 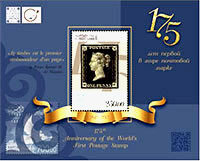 All plots of stamps were printed in small sheets, it contains 2 stamps of each series. The size of a small list is 135x100 mm., stamps size is 40x28 mm. Architectural monuments of capitals. Joint edition of the Communications Administrations of the RCC. Stamps printed in small lists of reduced format, sheet contains 6 stamps (2x3). The size if sheet is 100х105 mm and size of stamps is 40х28 mm. 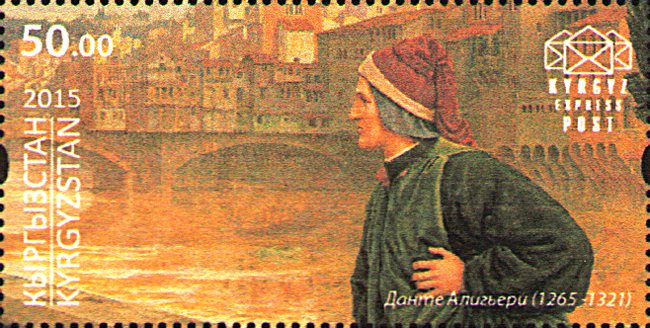 The stamps were printed on sheets of reduced format , on the sheet 4 ( 2x2 ) stamps. Size of the sheet (Dante Alegre ) 200x100 mm. Size of the sheet ( Tchaikovsky ) 165x100 mm. 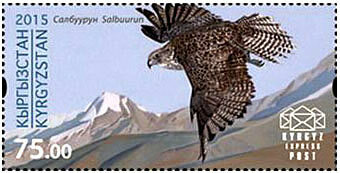 Size of the stamps 68x34 mm.
" Dante and Beatrice " ( 1884 ) . 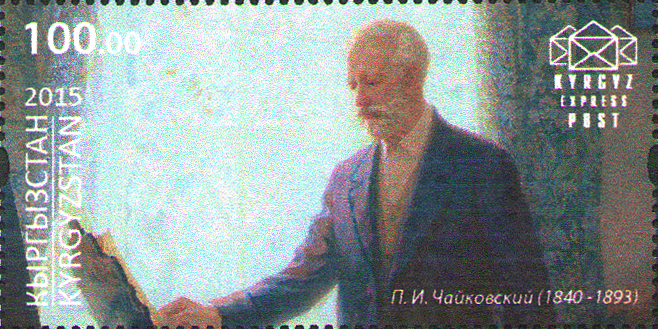 Reproduction of T. Feodorovoy " Tchaikovsky " (1998 ) . The stamps were printed on sheets of reduced format on the sheet 8 (4x2 ) stamps . Small size of the sheets 168x100 mm. , size of stamps 34x34 mm. 842. 75.00 International Year of Light . 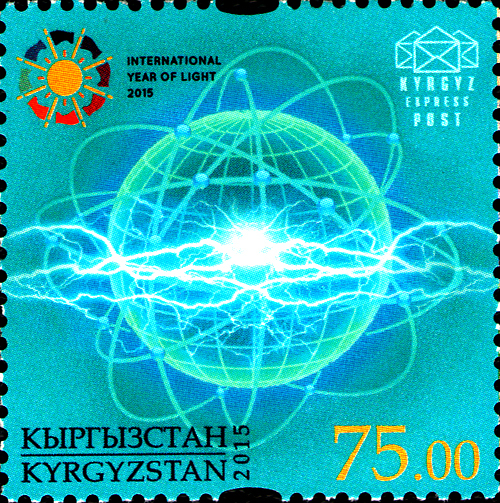 The stamp features a stylized image electrical discharges that penetrate the globe . The stamps were printed on the sheets of reduced format, on the sheet 5 stamps +1 coupon. 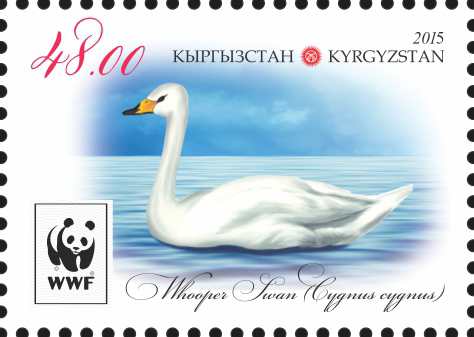 The size of the small sheet 130x75 mm., the size of the stamp 40x28 mm. There is a combined list of small 2-quart blocks, quart-sized unit 100h145 mm. 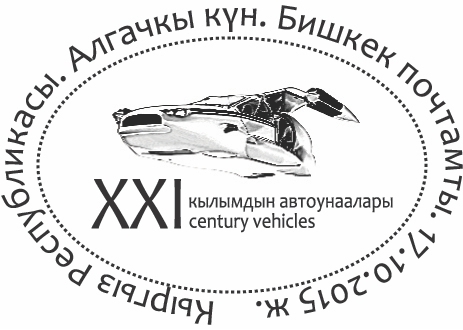 On coupon brief description of the annotation on each car. 843. 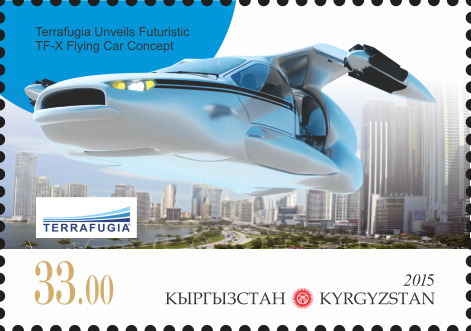 33.00 Project flying 4-seater cars «TF-X» company Terrafugia. 844. 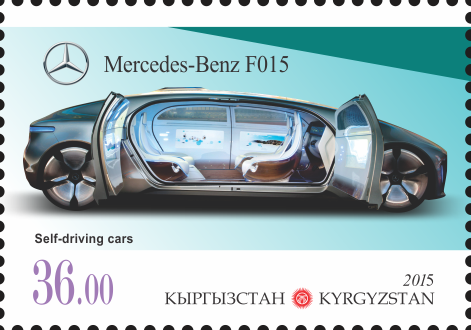 36.00 Concept Car «F015» company's Mercedes-Benz, working on hydrogen fuel. 845. 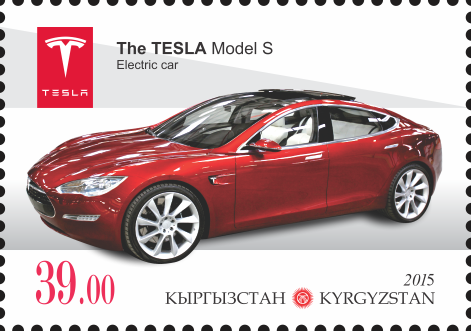 39.00 Electric company «Tesla model S» of «Tesla Motors» the security management system. 846. 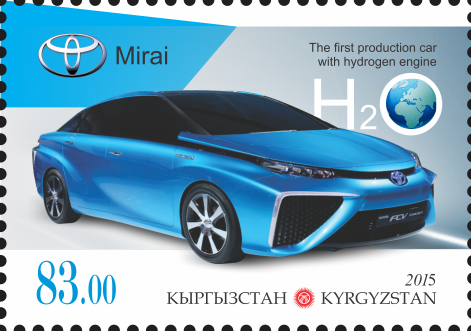 83.00 Japanese electric car «Mirai», in which the engine fuel burns involving oxygen and hydrogen. The stamps were printed on sheets of reduced size, 6 stamps in a sheet. 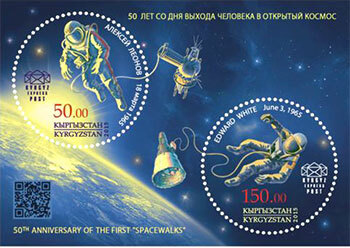 The size of the small sheet 130х75 mm., the size of the stamps 40х28 mm. There is a combined small sheet of 2-quart block, the size of a small sheet (quart block) 100x145 mm. Copies printed in RUP "Bobruisk Integrated Printing House named T.Nepogodin" Bobruisk, Belarus. 39.00 848 The upbringing of children. 850. 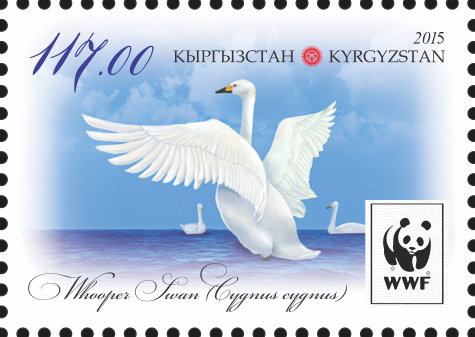 117.00 Swans on Lake Issyk-Kul. 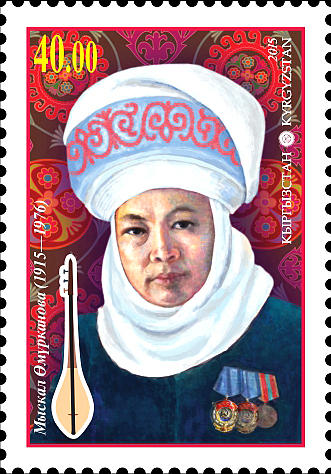 The stamps were printed on the block with decorating margins. The size of the block 110x55 mm., the size of the stamps 40x28 mm. Circulation issue 2500 units of which 500 units, without perforations. Copies printed in RUP "Bobruisk Integrated Printing House named T. Nepogodin" Bobruisk, Belarus. 851. 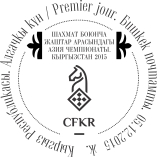 48.00 Chessmen in Kyrgyz national style. 852. 55.00 Chessmen in Kyrgyz national style. 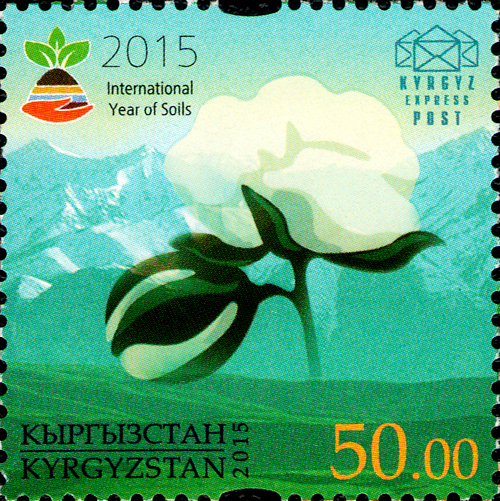 The stamps were printed in blocks with registration of fields against a mountain landscape. The size of the post block is 108х80 mm., the size of stamps is 27.5х46 mm. 853. 100.00 The stamp shows the light-bay horse galloping on the plain. 854. 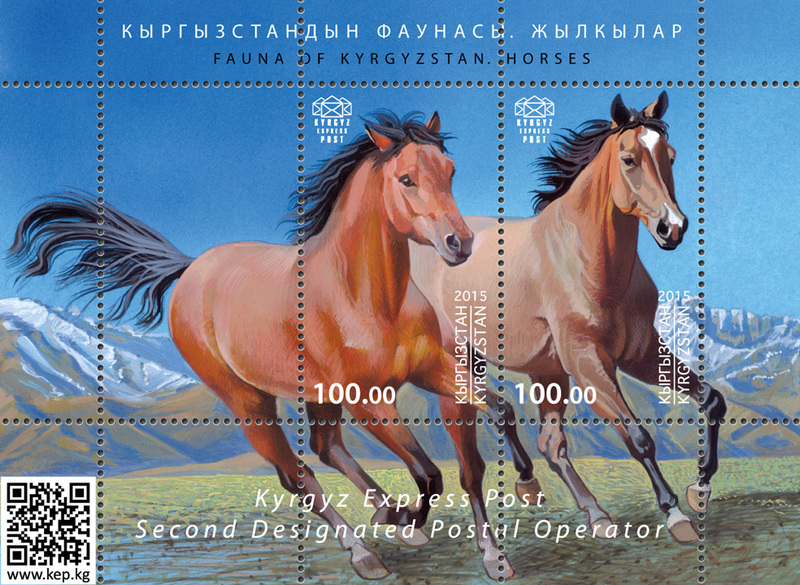 100.00 The stamp shows the dark and bay horse with a white birthmark on the head.